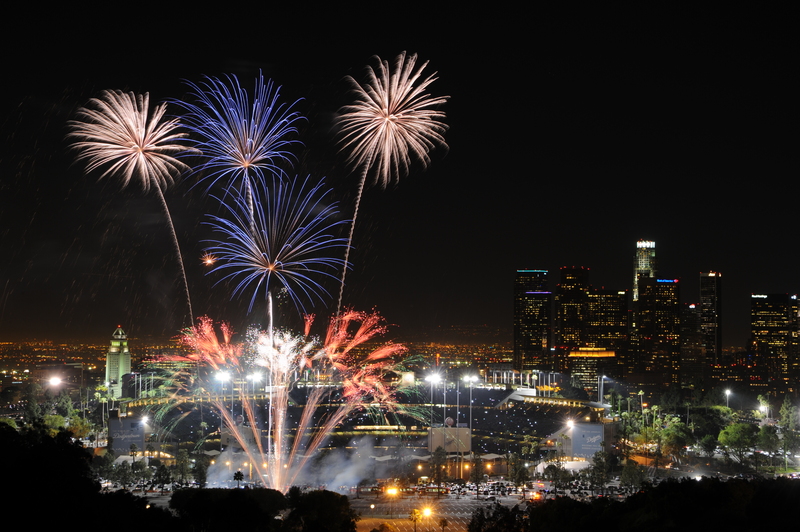 There are only 24 hours left on arguably the best ticket offer of the year at Dodger Stadium – on July 4, you can catch a ballgame and the city’s best fireworks show for just $4 on the Reserve Level, $14 on Loge and $24 on the Field Level. That’s a $130 ticket for $24, a $110 ticket for $14 and a $45 ticket for $4, but the sale ends Monday morning at 9 a.m.
Oh, and you can watch the fireworks show from the outfield grass, as always. We know a lot of people make their Independence Day weekend plans in advance, so this sale comes a few weeks before the actual game. Hope to see many of you at Dodger Stadium to celebrate on July 4.